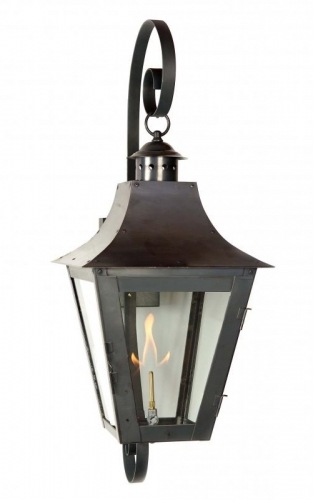 Exterior Gas Lantern on Bracket in Antique Copper. Each Lantern is hand made to order in the USA. Custom Variations are welcome.